Welcome to Dogonfunny®, where rescued pets are supermodels! You can help to rescue pets and save lives when you send your greeting cards this year! Our models are rescues and we tell their story on each card! We also donate a portion of EVERY sale to animal rescue charities. This website is in transition as of February 1, 2019. We are adding card assortments to our store and giving excellent discounts over individual prices. It will take several days to complete this process. Please use our contact form to request an email notification when the site is completed. Thank you for visiting! You can see the change on this page. 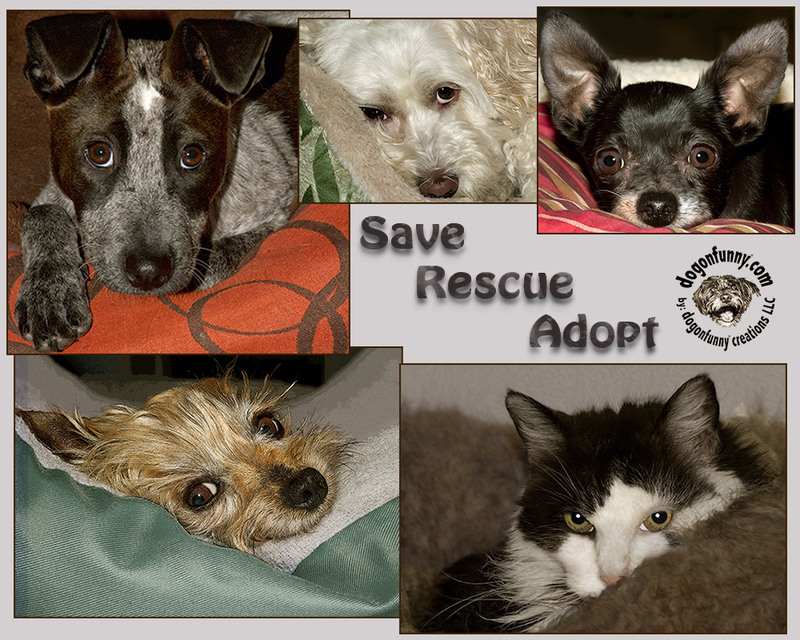 If you love animals and support pet adoption, you have come to the right place! Dogonfunny® greeting cards, note cards and stationery feature rescued pets as models to help us to raise awareness about the heartfelt pleasure of saving a life. All animals deserve great homes, and for the past ten years Dogonfunny® has told their happy-ending stories to educate and inspire. Now you can read each story right here on our website. The great thing about shopping at Dogonfunny® is our ongoing commitment to donate a percentage of every purchase to animal welfare charities. Read our donation policy. Enjoy shopping our products and please feel free to contact us with your questions, comments, or suggestions, or to sign up for our email list! NEW: Our Dogonfunny® fans love animals as much as we do, and to illustrate that fact, we have added a new page to our About section to feature the wonderful rescues and their stories as told to us by our customers. Ginger is the first pet to be showcased on our site because her story is so touching and so typical of the avoidable reasons that animals become homeless. Read her story. Kelly is one of four cats that were rescued by Lynda when the litter was only six weeks old and abandoned very early one very cold morning with no shelter other than an old cardboard box. At the age of sixteen she is pampered, loved and a kitten at heart. See her birthday card. 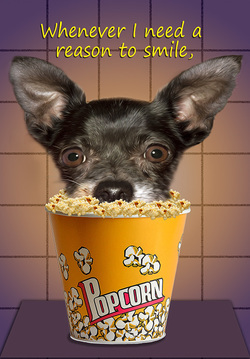 Pearl is a tiny Chihuahua with a huge personality. It's hard to believe that she was rescued at a cold bridge underpass after being abandoned by puppy mill operators who no longer wanted her or the other dogs that they stranded basically to die. Now her story couldn't be happier! She rules the roost in her loving home with other pampered rescues! Read her story and see her Friendship Card!